Who is the Author of Malaysia Traveller? I'm David. I like travelling. I left my home country (England) in 1976 with one suitcase and have not been back since except for short holidays. Not that I've been backpacking all that time. No, I have been living a semi-settled expatriate life in 7 different countries across Asia and the Middle East and I have made hundreds of business and holiday trips all over Asia. I enjoyed my visits to Malaysia so much that I decided to move here with my family in 2009. Now retired, I have plenty of time to be the Malaysia Traveller, scouring every corner of this beautiful country to unearth hidden travel gems and share them with you. I have already covered many fascinating places in Malaysia but there is still so much more to see, so make sure you subscribe to my free blog, or click on the RSS feed button or follow on Facebook so that you will be kept informed whenever I add a new page to the website. There are over 520 pages on this website so far and I am adding new ones every week. What’s more, I have visited every single place personally and all the photos are my own so you can depend on the information being accurate at the time of writing. Please explore the site and enjoy your Malaysia travel. 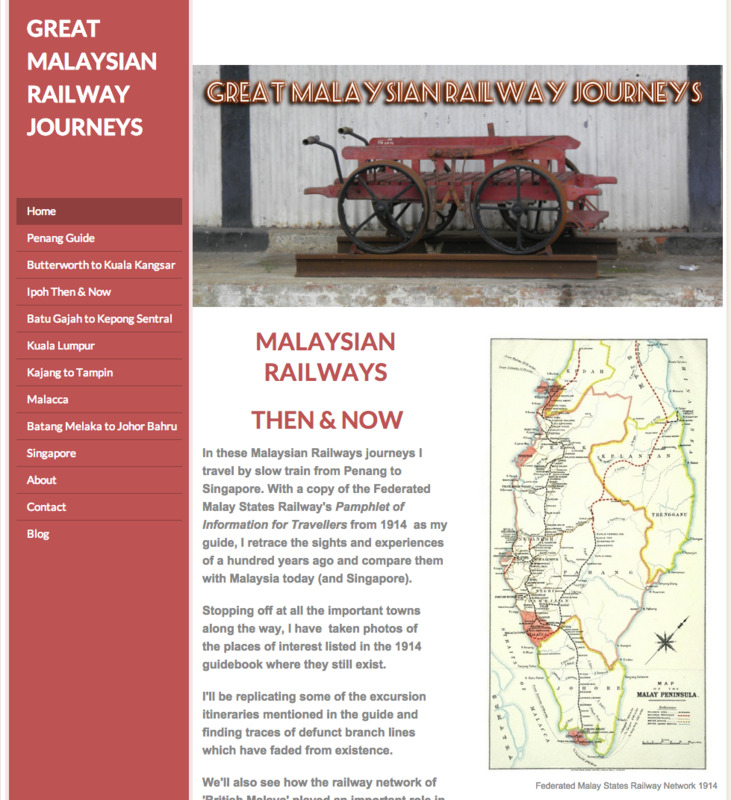 Replicates a train journey made 100 years ago from Penang to Singapore and compares the sights of modern Malaysia with the Malaya of yesteryear. My travel blog covering off-the-beaten-track destinations in Malaysia and elsewhere in Asia and beyond with a bias towards historical subjects.